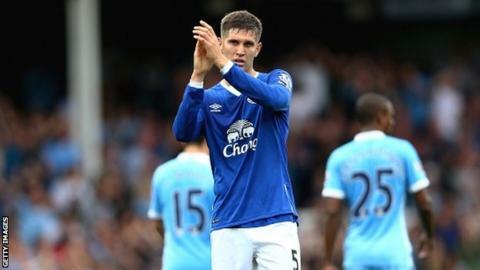 Everton's John Stones has handed in a transfer request following Chelsea's repeated attempts to buy the defender. The Premier League champions have had bids of £20m and £26m rejected for the 21-year-old England international, with a further £30m attempt also reported. Everton manager Roberto Martinez has repeatedly said Stones will not be sold this summer and the club have not responded to the latest development. The centre-back moved from Barnsley to Everton in February 2013 for about £3m. Chelsea boss Jose Mourinho, who substituted John Terry during their 3-0 loss at Manchester City and saw his skipper sent off against West Brom last Sunday, wants to strengthen in central defence. Stones is expected to be in the England squad for next month's Euro 2016 qualifiers against San Marino and Switzerland when it is named on Sunday evening. Chelsea's first game following the international break is a trip to Goodison Park on 12 September.